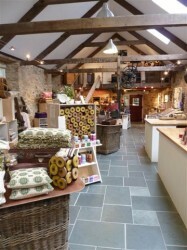 Just 1 mile up the valley from Solva, the mill is well known for it’s range of floor rugs and stair runners the mill shop also stocks a wide range of other woollen goods and locally made products. Open all year see our website for times. If you can’t get to the mill in person we have a selection of our products available for you to buy online.